Hello there! 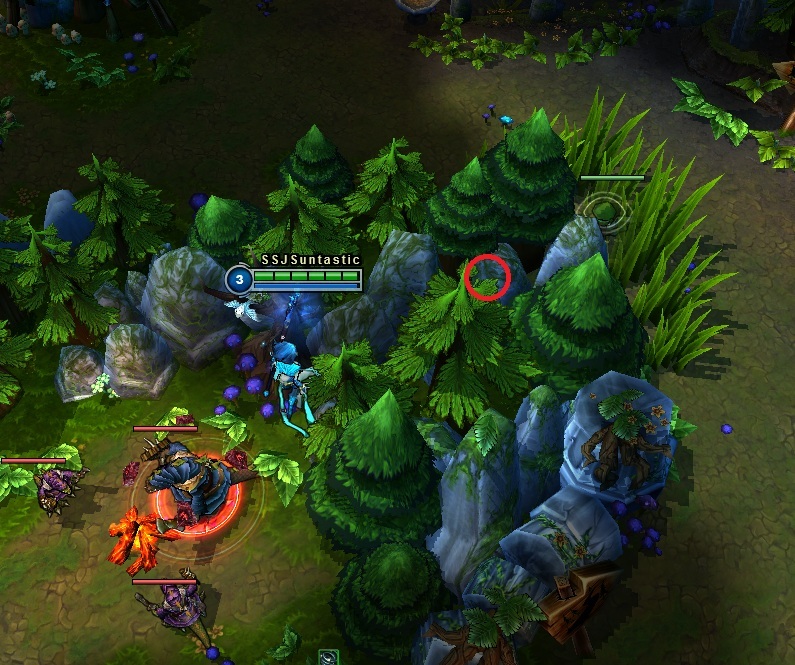 Today's post is about throwing wards over ledges to increase your maximum distance as well as the safety of placement. The basics are this: You know that if you flash or blink over terrain, if you make it past 50% of the wall you'll go all the way through to the other side? Well the same mechanics apply to wards as well. 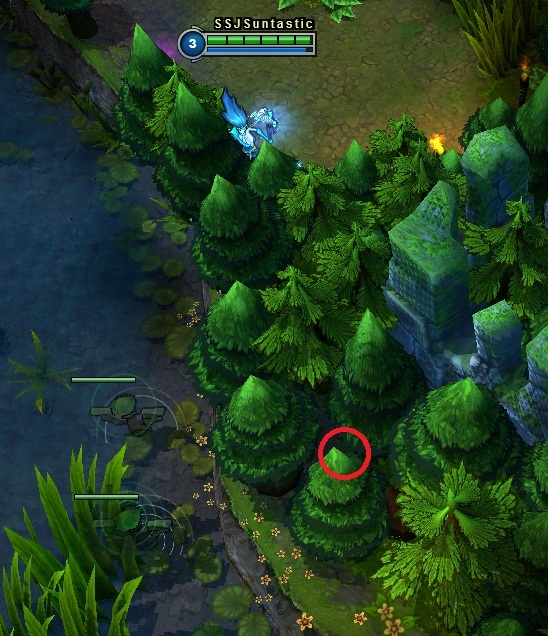 If you click to place a ward on terrain (aka a tree) then it'll make it across to the other side of the terrain as long as it goes past the 50% mark. This first location is the easiest, and you can replicate it from the purple side as well. 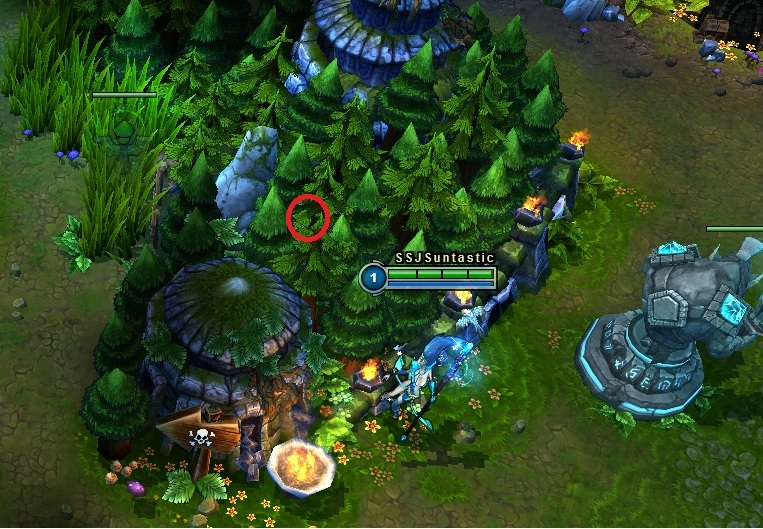 Just click where the red circle is, and you'll toss the ward over into the bush, without all the facechecking! This location is a little tougher. 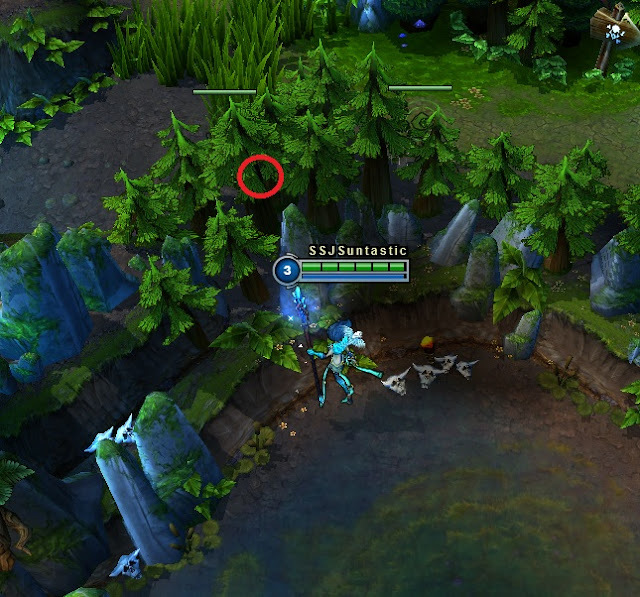 Make sure you try and get the maximum range when you're standing near the Baron wall, or you might derp like I did and end up throwing the ward too far to the right as shown in the picture above. This location is helpful if you get the feeling they're trying to invade you. Again, no facechecking needed. It's pretty easy to hit this spot since it's aligned well. This location is the mirror of the Baron ward pictured earlier. Once again, make sure you use the maximum range on your ward placement or you might derp and it'll plop to the left as shown above. 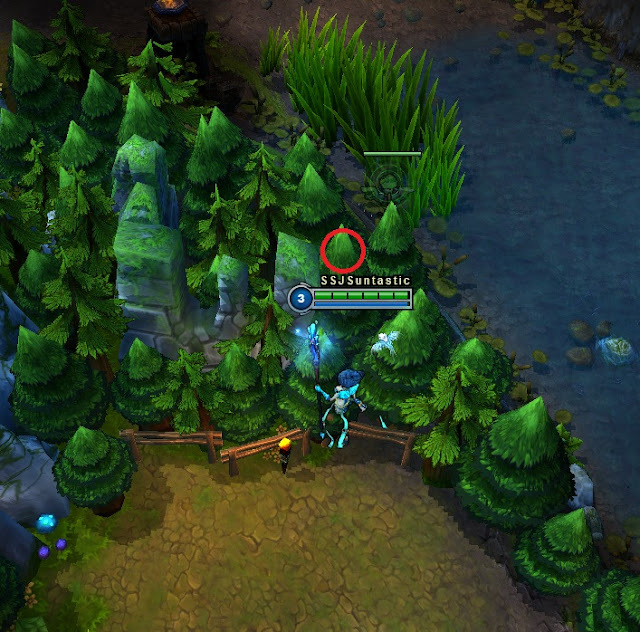 This location is nice when you're soloing top and don't feel like facechecking that bush. Again, try and use the maximum range. Smart-casting this placement makes it difficult to position. The mirror image of the placement shown above, it's actually a bit harder since the angle's much closer to a parallel. Be sure to click as far as possible. If you hit the top of the lowest dark green tree it'll plop in, but if you hit too far up it'll derp like the one you see right above it. Thanks to KahnGage from Reddit for pointing out these two and providing a screenshot as well (Click to enlarge) ! Once again, a good solution to face-checking and giving a precious few inches to escape. Wow, this is really useful tips. Didn't know this. Haven't seen any top elo players do it either. Nice find! Wouldn't this be considered a glitch and would patched in the future? It's definitely not a bug. It's a great technique that can guarantee objective completion. If I place the ward in a wall and shunpo to it at the same time will I follow it over the wall? @Mundox: Seeing that it's yet to after 2 years, doubt it. It might be intentional. Awesome guide, with great images and explenation. Keep it up! This will work with Heimdinger´s turrets aswell. 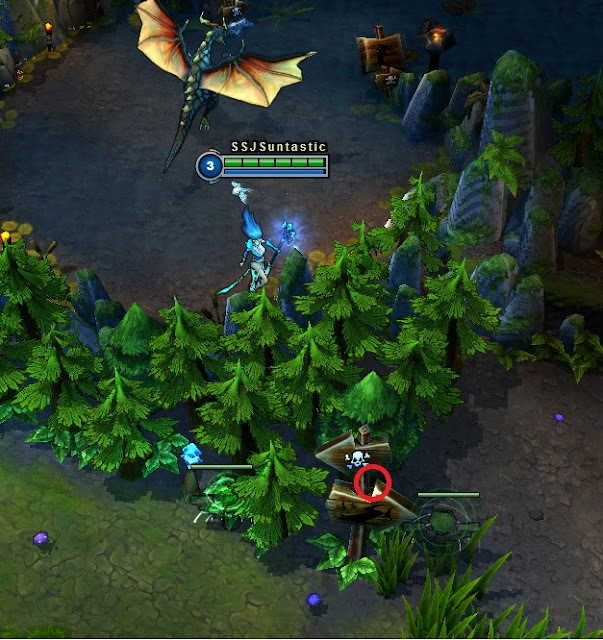 his turrets dont have quite that much range sadly its barely out of melee range so it cant even be placed over baron/dragon wall.